Cancelations may only be refunded with a 48 hour notice. This is a great opportunity for building your connection base in a relaxed atmosphere, and unwind after a long day at the office. 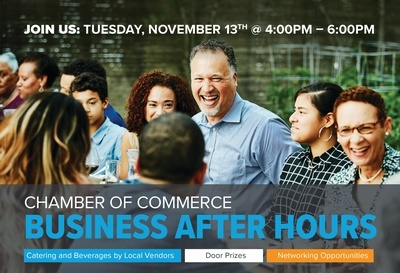 Come learn about one of our Chamber businesses and show your support. Make sure you bring plenty of business cards to enter the door prize drawings and make connections! HOMEBRIDGE FINANCIAL WILL BE COLLECTING NEW AND GENTLY USED CLOTHING AT THE EVENT FOR FISH OF ALBANY.